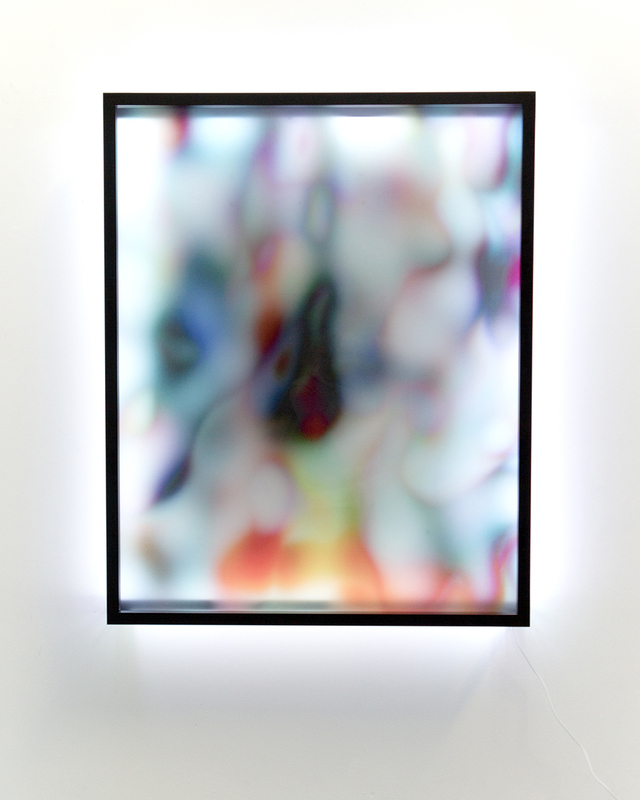 Earlier this month in Milan, Jonas Lund’s latest research shone through plexiglass panels in the Steve Turner booth at the Miart fair. 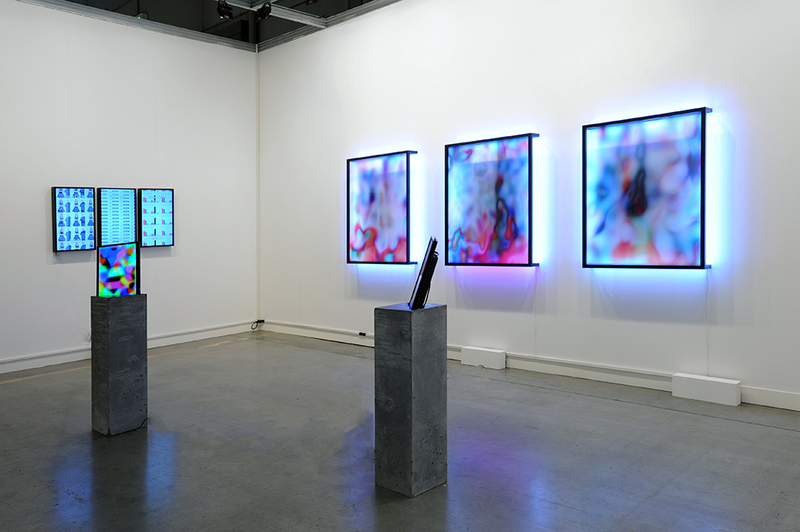 Alongside a set of screens streaming online content seeking the next art market trend, and animations playing on obsolete LED monitors encased in concrete, Lund’s three illuminated digital paintings took center stage. The paintings are in line with Lund’s longstanding preoccupations. 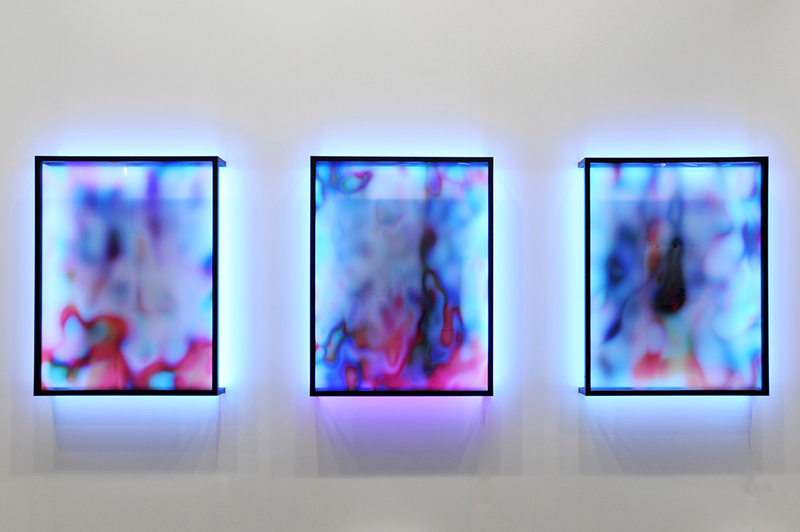 His VIP (Viewer Improved Painting) from 2014 tested different compositions and colors while tracking the viewer’s gaze, ultimately determining the most compelling visual arrangement. That same year, the artist produced a series of oil paintings based on an algorithm that processed the most successful works at a Phillips auction. Earlier work, such as Paintshop, a factory and marketplace for collaborative art, already tackled questions around art production and the market. Appropriately, the intangible forms inside the paintings themselves seem to reflect a certain malleability, an unwillingness to fully mature into a final state. 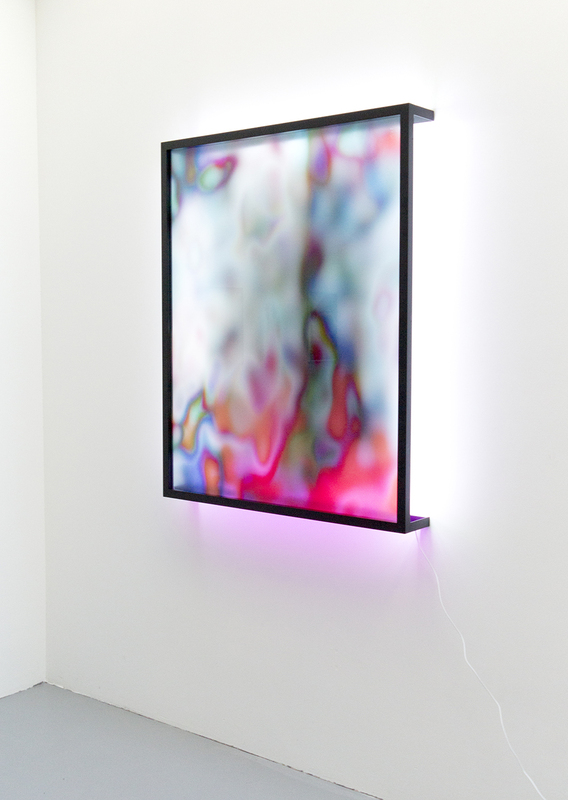 Illuminated with LED frames, they draw viewers near, but retain an air of mystery. Maybe keeping viewers guessing is one key to success.